Service and maintenance made easy: All device functions of Thermoplan fully automatic coffee machines are set up into modules. This allows for simple and quick exchange of machine modules and guarantees minimum downtimes. The Thermoplan product line Black&White3 and Black&White4/4c are equipped with our personally developed module system. If maintenance work is needed a complete machine module can be replaced within a matter of minutes. A significant advantage during a hectic restaurant workday. Downtimes are therefore reduced to a minimum. And to improve on our tried-and tested system, we consequently work on further developing our modular systems. 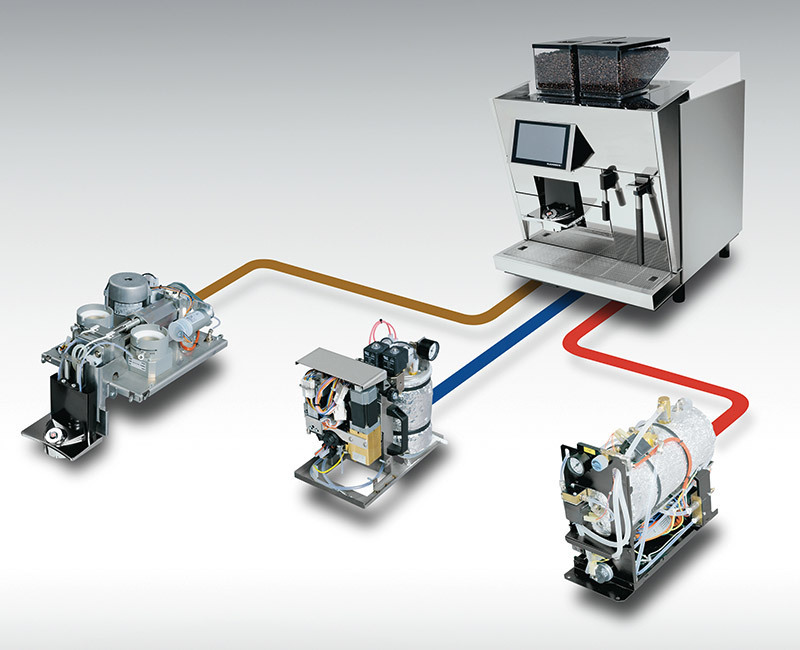 With the Black&White3 the brew, hydraulic and steam module forms an enclosed unit which can be easily and quickly replaced as needed. The modular construction principle of the third generation combines simple handling with maximum service friendliness. This ensures minimum downtimes. The Black&White4 compact impresses with a modular system in its fourth generation. 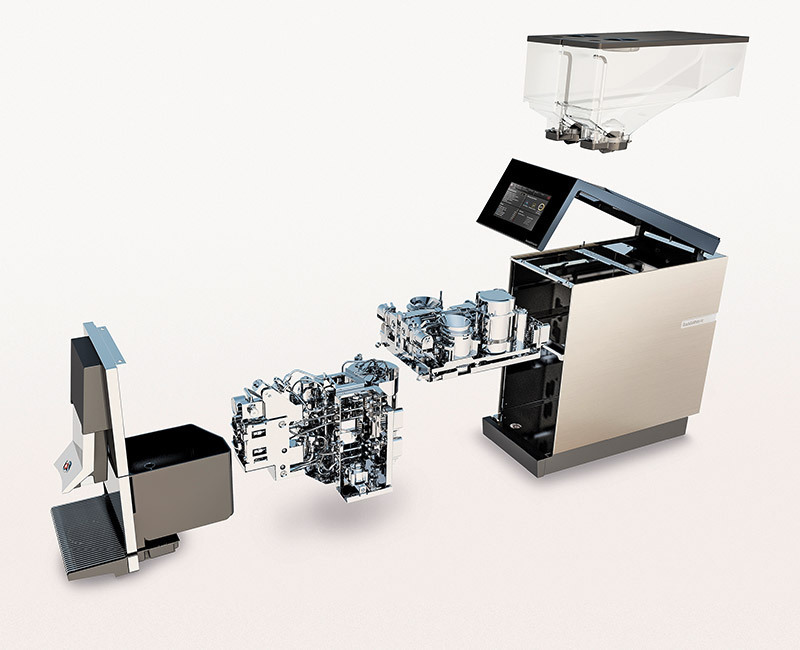 All basic functions are set up into two machine modules (mechanical and hydraulic). Maintenance and service work is performed exclusively on these components, the chassis remains untouched. As a result, each unit is back in use in no time.